S here, blogging from the Windy City of Chicago. Today is not only Canada Day, but the beginning of Free Agent Frenzy in the NHL. While L is chilling on the lake, I have been blowing up her phone with the latest updates. 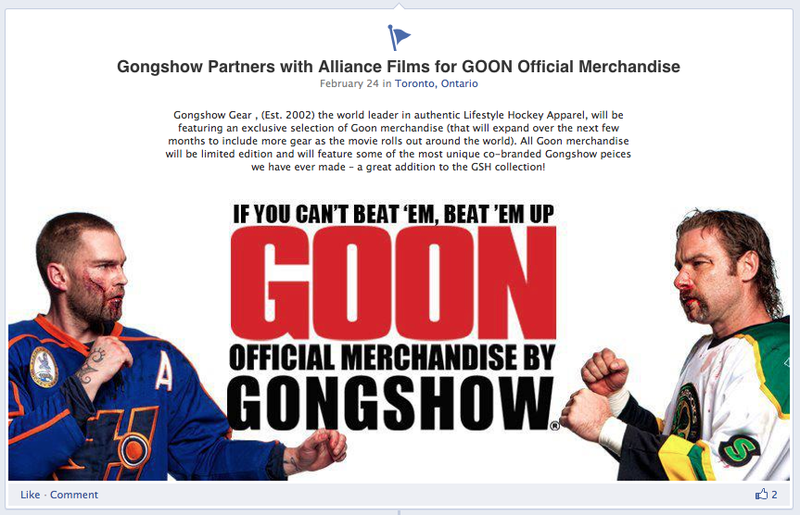 Oh, and in case you were wondering…we are both rocking our Gongshow Gear “Free Agent” buckets! Colby Armstrong waived by Leafs and picked up for one year by Montreal. Zenon Konopka to Minnesota Wild…L and I like this move. Steve MacIntyre resigned by the Penguins for 2 years. Aaron Asham takes a deal from the Rangers, and I cry myself to sleep tonight. 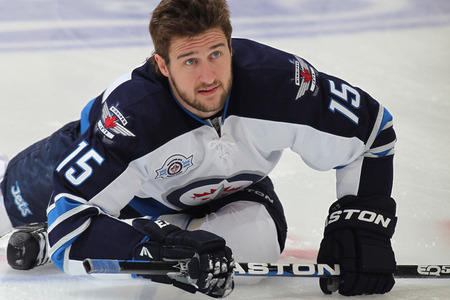 And my personal favorite so far…Tanner Glass signs with the Penguins. He’s smart too! Look momma, a Dartmouth grad! Thanks to S (and Gongshow Gear) this beauty of a video invaded my newsfeed on Facebook. Chad Brownlee, a Canadian Country music singer — who used to play hockey (Vancouver Draft pick), wrote this song about his beloved Canucks. Yes, I know … our most loyal outspoken readers hate the Canucks but trust me ladies & gents. This is worth the listen. He models the song after Red Solo Cup by Toby Keith. Hence why the title is No Silver Cup. Note: He’s wearing a GSH sweater & bucket!! The same bucket S & I rock on a weekly basis! Which says “Free Agent” — ladies, take note. You know he’s a good man when he watches/plays hockey. You know he’s a COMPLETE winner when he rocks GSH swag. He’s gonna make a lady verrrrrryyyyyy happy one day. I feel like I have the same discussion with myself almost every time the playoffs come around. 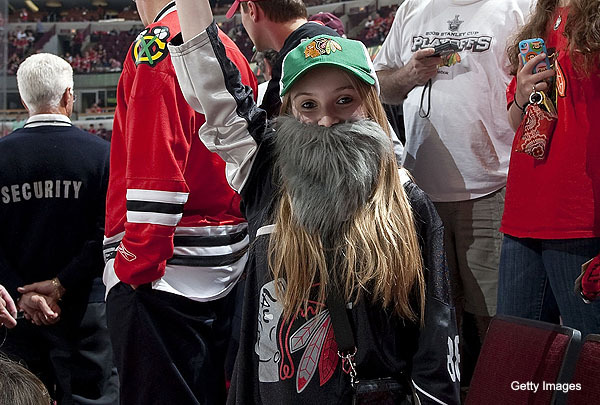 What is the female equivalent to a “playoff beard” or “playoff mullet”?? It’s gotta be something “uncomfortable” as all the guys do during the playoffs is complain about how itchy their beards are. It’s also got to be something that you could do at work without getting fired. And preferably something that’s socially acceptable. Very cute option -- but let's take it a step further. After some research — thanks to S’ man friend — we’ve got a few options for you all to consider. 1. Don’t shave your legs. We all know that there may be a few weeks during the winter where you all get too lazy (or cold) to shave your legs so you go into “hibernation”. But lets be honest, not shaving your legs from April – June is just not socially acceptable. Please, if you’re going to do this…wear pants. 2. Don’t pluck/wax/thread eyebrows. While this seems like a harmless option, once again… uni-brows are frowned upon in society. Don’t. Just don’t. 3. Lucky underwear. Now this is just plain disgusting. As much as I love Sidney Crosby, I find his “lucky jockstrap” to be completely disgusting. So please, ladies, let’s not. Unless of course, you have enough underwear in your teams colors to last you 2 months. If you do, go for it. But let’s get to the option that won’t repel the opposing gender — for those of you who have men to impress on a daily basis. Also the options that can be done that will still make us look cute! While showing your support through fashion seems like the obvious answer — jewerly, clothes, etc can be taken off before bed. A man’s beard can not. So, rocking your team colors everyday works to a certain extent, but doesn’t count. It causes zero discomfort. Highlights. While S and I have easy team colors (black & gold), some of you have colors like Orange or Green. But hey, if you’re up for the challenge — do it up! I fully support it. Unfortunately, some of us (cough::me::cough) already over process their hair. So for me to put blonde/gold streaks in my hair would take hours of corrective coloring and money that I just don’t have. If you have money to throw around — this option is for you. Paint your nails your team colors. I don’t know about you ladies, but having undone/chipped nail polish drives me ABSOLUTELY insane. It either needs to be done to perfection or completely gone. The fact that I wouldn’t be able to touch them until June makes me irritated, but that’s what makes this perfect! I’m sure other girls out there feel the same as me. Whether you can’t keep the nail polish on and instantly chip it off OR need them done all the time — this may be the option for you. 1. The nail polish/highlights goes on/in Wednesday, April 11th (or the night before). It can be done professionally OR by yourself. 3. Once your team is out, YOU’RE FREE! Wipe that nail polish off and make your way to the nearest nail salon where you can pamper yourself for being a supportive female fan. If you did the highlights option– go ahead to the nearest salon and correct the color. So ladies, who’s going to join us? I’m going to buy my black & vegas gold nail polish tonight! Playoffs are just a week away. If you need to book appointments, don’t wait too long. However, if you have other options…feel free to let us know! We’ve been killing brain cells by thinking of reasonable options. Welcome to the Big League, boys! This week has had S & I spinning. Two of our college favorites have officially made it to the NHL and since they are officially out of our league — I figure it’s time for a blog shoutout (Let’s face it, getting your own post on Hockey’s Finest means you have REALLY made it into the big leagues -S). We’re crying as we right this. As much as we love to see them in the big leagues, we’re sad yet another boy has slipped through our fingertips. This 5’11” 174lb Newport Beach native was drafted by Minnesota in the 2010 NHL Entry Draft (2nd round, 59th overall). He’s finally 20…which makes our love for him a little less creepy. He makes his NHL debut tonight against the Florida Panthers. So ladies, make sure to look out for number 16! I’m positive he’ll do amazing in Minnesota. Poor Chuck. This girl has been a trooper. She’s had to put up with my fangirling all season and it’s all because of this boy. Not gonna lie, I didn’t even know he existed until this season. Well — wait, that’s a lie. I knew he existed. But I never cared. UNTIL! A friend from work mentioned being friends with him. FRIENDS! That meant I had a connection, right?! Wrong. I’m way too shy for that. So, I just bit my lip and listened as she told stories. His dorky sense of humor is definitely what caught my attention. This 6’4” 195lb Montreal native has been a BEAST for BU this year. He led the team in points. 15 Goals, 31 Assists. Total BAMF. 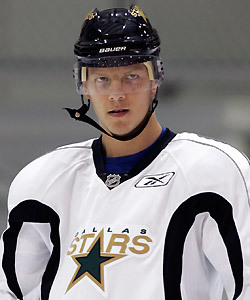 He was drafted in 2009 by the Dallas Stars (2nd round, 38th overall). He’ll be finishing the remainder of the AHL season with Dallas’ affiliate, the Texas Stars. Good luck to these fine boys. We can’t wait to watch you guys grow as athletes. Seriously, I spent 90% of my time laughing out loud alone in my apartment. 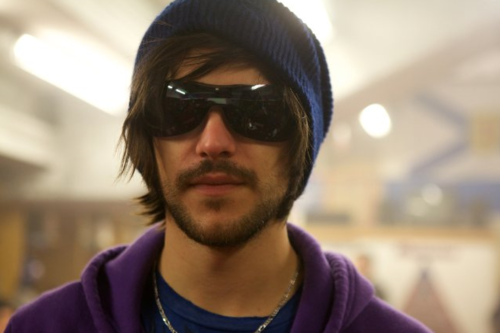 The other 10% of the time I was trying to talk myself into thinking one of the actors did NOT look like Kris Letang (if he was a pot head/coc addict) and that it was just my imagination. What do you guys think? I blame the hair and overall BAMF personality. Anyway, take a couple hours out of your busy hockey filled schedules. Grab a beer & sit back to watch a beauty of a movie. I believe it was released in theaters in Canada. But for us USA folks, you can rent it on iTunes for $9.99 (let’s face it– that’s like going to the movies so don’t be complaining about how it’s too expensive) and I also saw it on On Demand for those with Comcast. It’s got the Hockey’s Finest stamp of approval. One day when S was bored (…I feel like most of our posts start like this…) she sent me an awesome email. Turns out she has a “Birthday Buddy” in the league. That sparked a question. Do I have any Birthday Buddies?! So, I took an hour out of my afternoon and searched EVERY team in the NHL. And like luck would have it, our birthday buddies are on the same team. A team we shouldn’t like, but thanks to HBO– now we do (I laughed at myself the other day because I was wearing a Simmonds Flyers shirzey and driving a car with a Penguins bumper sticker. It was the ultimate hockey fan sin- S). Both gems play for the Flyers. Yet ANOTHER reason why we now love this team. S! Hurry! He wants to cuddle! Right Winger. 5’10” 185lbs. A little short for S’ liking, but he’s Canadian. I’m sure that trumps the height deal anyday (You know me all too well! The Canadian card trumps just about everything…especially if he likes to cuddle-S). This 25 year old is absolutely adorable. He was all worried the other day because he cut off his flow. Something I wouldn’t recommend doing (unless your name is Steven Stamkos) but to each their own. He also has a Twitter — @MReader24 — which skyrockets him into my favorite list. I approve S. I smell a shirsey coming. Why yes! I will take one of you on a silver platter. Thank you. Born in Saskatoon, Saskatchewan. Just that birthplace alone makes him a winner in my eyes. 6’1″ + 190lbs + Center = DOUBLE WIN! Also, he has an older brother. Y’all may know him. Luke Schenn — a defenseman for the Leafs. I believe this one deserves a HELL YES! This young Flyer is pushing his way into my heart. And with a smile like that, how could I resist?